Our Funarena! : Cricket: India Deny Pakistan A Clean Sweep In New Delhi Chiller! Cricket: India Deny Pakistan A Clean Sweep In New Delhi Chiller! 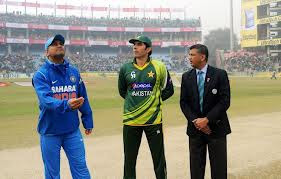 The Airtel ODI Series between India and Pakistan was lost and gone when Pakistan routed India in Kolkata on January 3 and the third ODI in Delhi was reduced to a match of academic interest. But it was still India Vs Pakistan, and the crowds were all there to enjoy every bit of a rare encounter in the capital. When the two neighboring giants are involved every match is bound to be riveting whatever the statistics say. And what a match it turned out to be! It had all the ingredients of a typical India-Pakistan thriller strongly reminding one of the Sharjah low scoring classics. This ‘inconsequential’ match was almost written off by many when India winning the toss and batting first huffed and puffed, as usual nowadays, to just 167 all out in the 44th over. But Dhoni and his team sensed something in there for the bowlers and after a long time the Indian skipper looked positive and determined to make a fight out of it. The crowds stayed put there to cheer on the impossible. The Indian winning margin of 10 runs looked huge in the end. It was a freezing cold day in New Delhi, but the surface of the pitch was dry promising a lot of runs. Maybe that encouraged Dhoni to try put on some runs on the board by making first use. Despite Ajinkya Rahane replacing a listless Sehwag in the openers’ slot the Indian top order acted the same way it has been used to over the last couple of years. They did not have a clue to the pace and the swing, and even to spin. All of them were tentative in putting the bat out in a kind of forward defense, but never coming decisively forward, failing to anticipate which way the ball would move. They continued to perish after consuming lots of balls, only Yuvraj Singh coming at 37/3 in the 10th over told them that boundaries could still be scored. But his quick innings was too good to last for long. When pace of Irfan (2 for 28) and Junaid (1 for 17) seemed to have engulfed India it was finally the spin of Saeed Ajmal (incredible 5 for 24) that finished off India for 167. Suresh Raina (31 off 60) and captain Dhoni (36 off 55) gave the Indian bowlers something to fight for. Interestingly Dhoni got out in a one day international in India after for the first time after March, 2011! Pakistan was set to notch up the first ever clean sweep of 3-0 over India in India. This much needed win gives India some heart to face up to England for the forthcoming ODI Series starting on 11th January in Rajkot. But the cumulative rot in the Indian team cannot be wished away with this exciting win. Suddenly the Indian bowling that has been under the hammer constantly looks better thanks to the sprightly youngsters and its batting that has been the strong-point for years is in turmoil. Humiliations piled up both abroad and at home make the hard decisions a must. The money-rich Indian Cricket Board likes it or not. 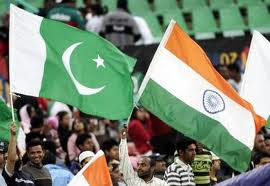 This short India-Pakistan Series after five years is expected to help bettering relations between the two garrulous neighbors. It was heartening to watch supporters of both the countries enjoying and expressing themselves freely in the packed stadiums. Cricket lovers in both countries would definitely want more and more cricket classics between the two arch-rivals in the near future.